Located just northeast of Downtown Orlando, Mills 50 was recently recognized as one of the top 12 neighborhoods across America about to get crazy popular. 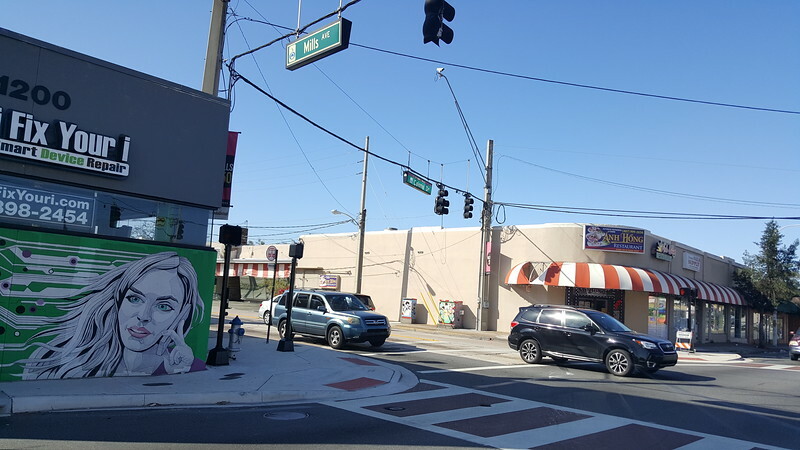 Recognizing the important role commercial districts play on the overall health of its neighborhoods, the City of Orlando offers neighborhood business district revitalization support through its Main Streets program. Receiving national attention for their success, since 2008, investment in the Main Streets program has surpassed $1 billion. 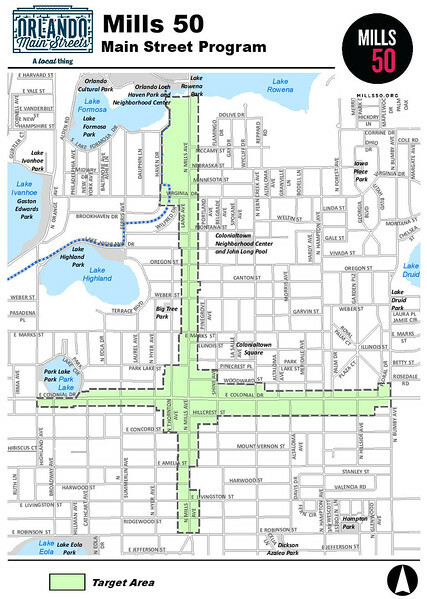 Straddling the intersection of Colonial Drive and Mills Avenue, Mills 50 is one of nine unique neighborhood commercial corridors in Orlando’s urban core that is recognized as a Main Streets district. Dating back to the mid-20th century, what is now known as Mills 50 evolved as one of the city’s first major retail corridors outside of Downtown with the 1940 opening of the Orlando Army Air Base (Naval Training Center Orlando), passenger flights beginning at Orlando Executive Airport in 1946, the opening of Interstate 4 and the establishment of Colonial Plaza in 1956. Originally an open-air strip shopping center, a major 1962 expansion transformed Colonial Plaza into Florida’s second enclosed mall and the Orlando area’s first. 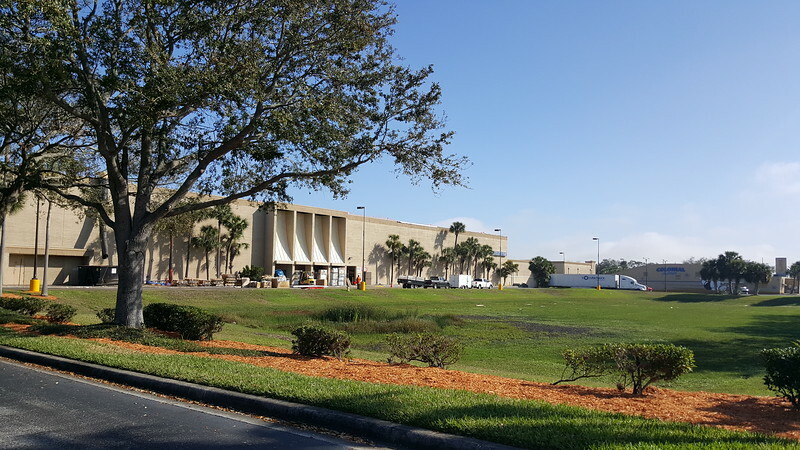 Also classified as State Road 50 (Colonial Drive) and United States Highways 17/92 (Mills Avenue), as well as being sandwiched between Interstate 4 and Colonial Plaza, this commercial district quickly came to life as Orlando rapidly developed in areas surrounding the military base. However, the area began to lose its luster after the 1971 opening of Walt Disney World southwest of the city. By the 1980s, the region’s growth patterns had shifted from Colonial Drive and Mills Avenue, to newer attractions and regional malls in suburban areas further away from the central city. 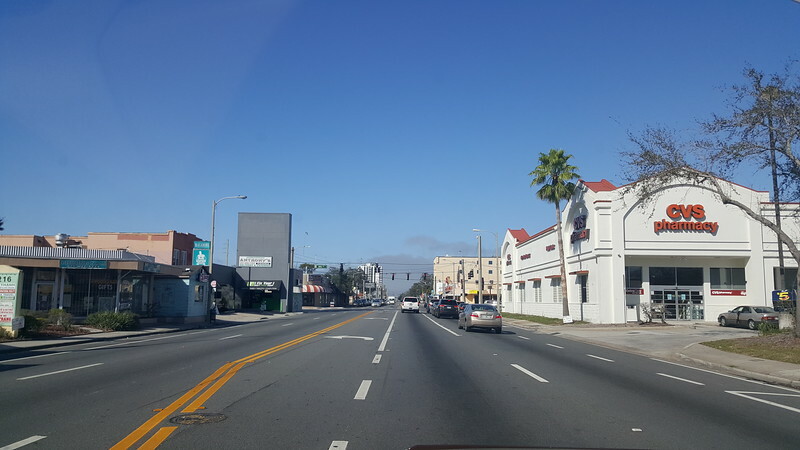 With large-scale Vietnamese migration to the United States beginning as a humanitarian flow after the end of the Vietnam War in 1975, the district’s rebirth was stimulated in the early 1980s as a significant Vietnamese population moved into the area. Soon, it emerged as an enclave of authentic Asian restaurants, shops and markets and unofficially known as Orlando’s”ViMi” (intersection of Virginia and Mills avenues) district. Today, the district is supported and promoted by Mills 50 Main Street. Co. with a mission to foster the diverse neighborhood by stimulating business and promoting creative culture within a pedestrian friendly community. Made possible with the assistance of the National Trust Main Street Center, the City of Orlando, Mills 50 members and volunteers, visitors will find a unique clustered setting of independent businesses straddling these two historic commercial corridors. Long redeveloped into a retail power center, the former south entrance of Colonial Plaza’s former Belk-Lindsey department store still stands. In addition, still home to one of Florida’s largest Vietnamese-American communities, Mills 50 remains a major enclave of Asian businesses, including a large collection of Vietnamese, Korean, Thai and Chinese eateries along both Colonial Drive and Mills Avenue and is well worth a visit for anyone in the Orlando area or looking for a one-of-a-kind destination to make a day trip.